Parties and satin go well in many occasions as this is one fabric that will give a lustrous shine for a good evening that requires a lot of mood to party. Mens satin shirt is a good choice to go for if you like to fashion a shirt that will look good for a festivity. The fabric is rich and exotic so it will surely give you a rich look that is also casually attractive. Satin the soft and shiny fabric a can be worn in many different colors to get attractive look but it is good to choose what suits you best at all times. Satin looks good in all kind of colors but it is hard to find the right color that will suit you. Color selection is one of the hard stuffs we need to cross if we have to look good. Selecting the right colors will totally fall on the personality of the person who will wear it. Apart from this fact each color will look different in different kind of fabrics. 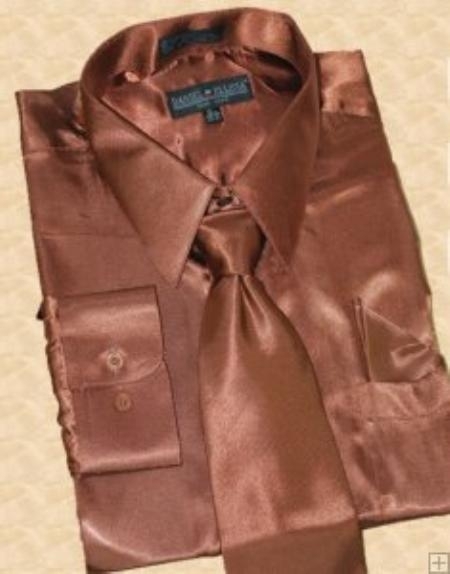 You will have to think about all these factors if you plan to get mens satin shirt this time for the party. If it is a party that will require you to be a little funky, you can happily choose bright colors to give a different look. You cannot end up wearing a shiny lemon yellow shirt for a business party, it is more appropriate for satin shirts that are of dark colors and will look rich on you at the same time. Remember that knowing how to dress is important in all case if you need a perfect gentleman look. It is fine to dress in a bright colored satin shirt if you are going for a themed party or a Halloween party and you choose to look attractive. It is good to wear a satin shirt and tie combination for a suit if you want a different look that will showcase your personality in a different way altogether.